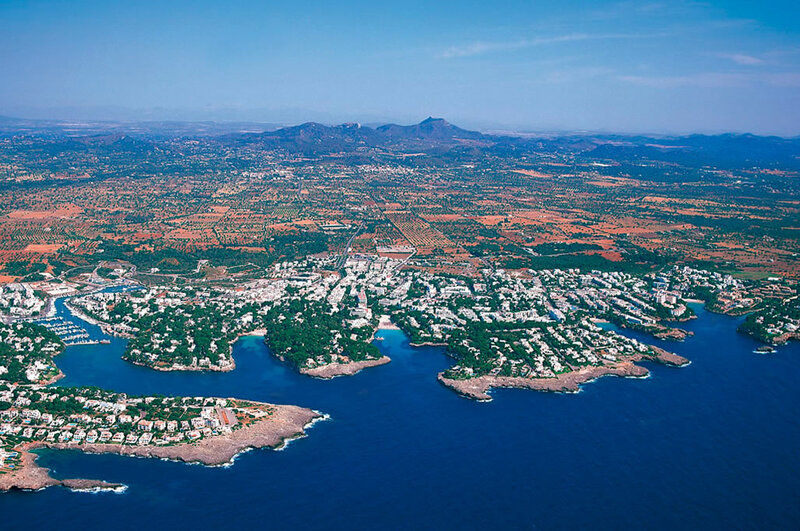 Cala D’or is the most important and one of the oldest town in Mallorca and thus the most visited by tourists from all over the world. It has the Cala Gran, natural parks, beautiful beaches, amazing restaurants serving seafood and gourmets, stylish boutiques, diving, great bars, the marina where many fantastic and glamorous boats and yachts lie, and so much more that’ll help you relax and enjoy your vacations. However, the journey to get there is quite lengthy, as the international airport on the island is located relatively far from it; it is about an hour to an hour and a half by private vehicles and two hours to two hours and a half by public transportation, and tourists may get lost or find themselves being ripped off by taxi drivers. Which is why using transfers from Palma Airport to Cala D’or is one of the best choices you can make to have a safer and nicer experience during your trip of wonders. Most transfer services include a wide variety of options; they have express shuttles, taxis, VIP cars, Minivans, Minibuses and Coach buses. Some companies will tell you how old the vehicle is as well as detail everything they have to offer, provide guarantees you won’t be left behind at the airport, provide means to contact them and even refund part of the money you spent if you’re unhappy about the service provided, while others won’t show much. Also, some might offer shared shuttles for both pre-confirmed travelers as well as for people found straightaway on arrival, so booking for some of them isn’t completely necessary, yet it is advisable for making sure you won’t end up paying a taxi which will be much more expensive. 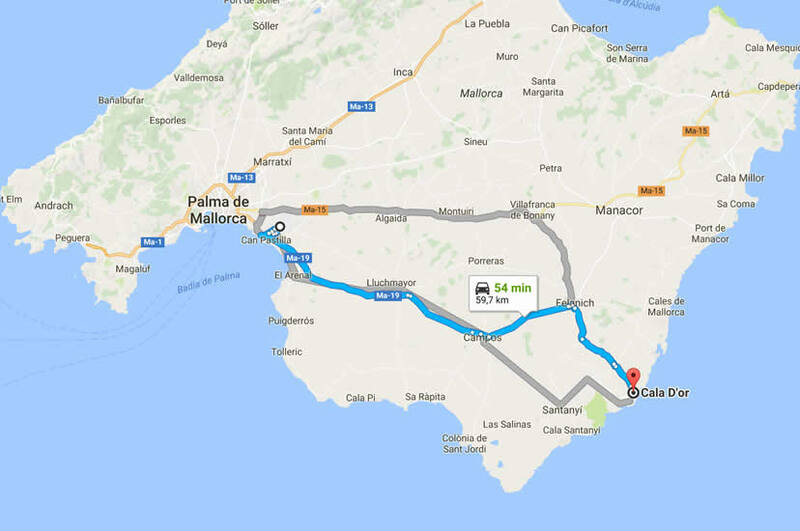 If you or a relative is handicapped, some transfer from Palma to Cala D’or offer special shuttles equipped with a rear tail lift or ramp for wheelchair access, the person doesn’t even have to move from his or her wheelchair, however these services tend to be a little bit pricier than the average. Another thing to keep an eye for is if they offer door-to-door services, no one wants to go somewhere unknown and end up in the middle of nowhere with no idea where to go next. Also, some companies may charge extra fees for booking or due to the use of a credit card, so look for those things under each of the companies FAQs or ask a customer service representative through email or phone call. The way they work is really simple as well. First you need to choose which vehicle you prefer; keep in mind some transfer services are done solely to your group and no one else will be traveling in that vehicle while there are others that use shared shuttles and vehicles, so select the most suitable for you. Once that’s done, you book online using their website, the earlier you make the reservation the less it’ll cost as prices may increase throughout the year, in the booking form you have to write down the exact address the driver will be taking you. After booking, you will be receiving a confirmation email with all the information required, if it doesn’t appear in your inbox, try looking for it under the spam folder, once you have verified that it is nowhere to be found, you can contact them either by email or phone. You have print the booking voucher found in your confirmation email or their website and then all you have left to do is meet the driver at the airport! Prices vary depending on the vehicle used, the season you are planning on traveling and the company you’re hiring; an express shuttle can cost only €12.99 while a bus from Palma Airport to Cala D’or can cost €152.28 in one company while the same service could go from €30 to even €450. There are a lot of websites commonly used by transfer services for review, it is advisable to check which has more stars and percentage, as well as number of reviews. There are companies that go from 5 stars to even 3 stars. -	Good reviews: very professional, drivers are easy to recognize, they are very efficient, competitive prices, cordial, punctual, clean vehicles, cheap and efficient, the service has been used for over 5 years by the same group, family or individual, good price/efficiency ratio, very pleasant experience, I knew it would work out well because I had used the service before and so on. Some things to consider, remember that shared shuttles that offer door-to-door services need to stop at every resort and hotel passengers go to. Thus, a one-hour trip may take two hours or even more, if you aren’t the waiting type or you’re in a rush to get to your staying address, it is advisable to book for a VIP vehicle or a minivan that’ll take you and your group where you are set to go or take a taxi from Palma Airport to Cala D’or, although the latter will be expensive. Bad reviews: it takes way longer than it should, the driver sold beer and other alcoholic beverages to passengers, it stopped way too many times along the way, customer service is poor, the bus was delayed, the bus took us to the airport way too many hours before the flight departed, the bus never arrived, I paid for the service and I ended up having to pay for a taxi, among other many other crazy stories that as unreal as they seem, they probably happened.